Top 5 things to do with blocks…that you never thought of before! 2) Measure with blocks. For this activity you need blocks that are all the same size. Since children are ego centered at this age, ask your child if you can measure how tall they are using the blocks. Have your child lie down and then begin to line blocks up alongside them. Have them stand up to see the result. If there is interest get other things to measure. Have your child (with or without assistance) measure how long YOU are. When describing your measurements, model language of tall/taller/tallest, etc. 3) Blocks + sensory material = fun! This is a very open-ended activity and great for kids who love sensory play. Items like play dough, sand, shaving cream, water, mud, or finger paint are examples. Play dough can be used as “cement” with blocks, to make structures. You can play a game of hide and seek using shaving cream or sand with blocks. If you have different shaped blocks, you can provide some paint for the child to stamp onto paper. 4) Play a game of “what’s missing?” This can be used for many different materials. You will need different shaped or different colored blocks. Begin with 3 or 4 blocks. Place them on a surface where your child can easily see them. If needed, label the blocks. Then cover all the blocks up with a cloth. Help the child resist from peeking! Tell them that you are going to play a game where you take 1 block away and they have to tell you what’s missing. Even young kids can do this, if you just cover them up, remove the cloth and say, “which one is missing?” With older children give them more choices and take away 2 at a time. 5) “Can you find the square?” This is a game that works on a child’s working memory. The level of difficulty can vary greatly upon the number of items you present and the distance they go to retrieve the item. Set up 3 different types of blocks in 2 spaces. Place one set close to your child and the other set farther away. You can work on different shapes, colors, or size. Work with what your child knows and go from there. Begin by labeling the items in front of you and your child. 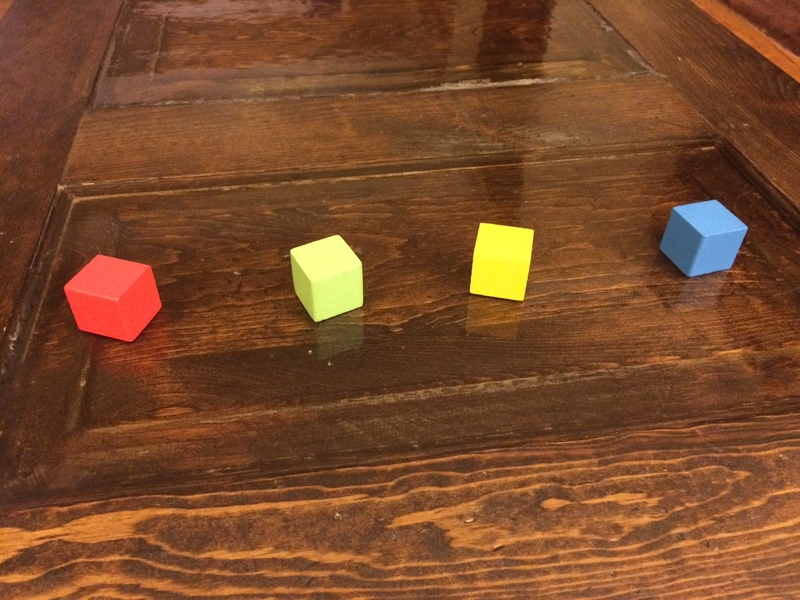 “This is a square, this is a triangle, and this is a rectangle.” Then point to one and ask, “Can you go find a square over there?” This challenges your child to not only focus on the task at hand, but also keep information in their brain to complete the task. 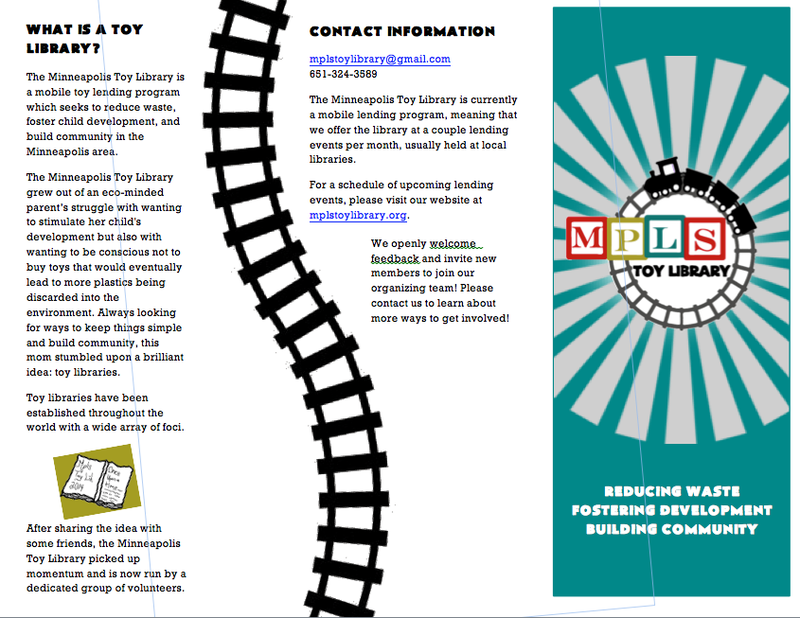 Here is our updated brochure with information about how we got started, how the membership works, and ways to help the MTL.